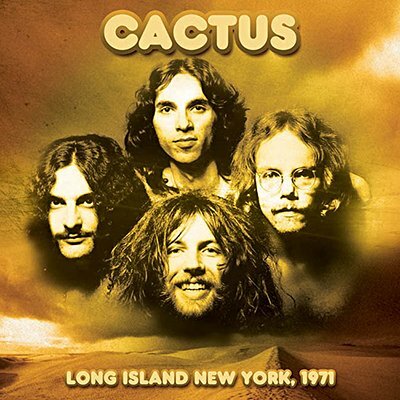 Originally cast as a super group, Cactus were the brainchild of Long Island boys Tim Bogert and Carmine Appice, two ferociously talented players who had cut their musical teeth in psychedelic heavies Vanilla Fudge with Atlantic records in the late sixties. Addressing a small invited audience in Ultra Sonic Studios in their native Long Island, the band plunged into their past three albums delivering a blitzkrieg, pronouncing their affection for boogie with an electrifying demeanour. This performance also signalled the closure of a chapter in the Cactus story with McCarty and Day leaving shortly after and before recording took place for the fourth album Ot' 'N' Sweaty in 1972. Klondike has captured a unique facet of heavy blues-rock with the WLIR-FM broadcast recorded at Ultra Sonic Studios in Long Island, January 1971. Exposing a robust powerhouse performance delivered from a profoundly underrated band who given their lack of reflective prose and melodic depth, held all the goodies in the bag with the amps turned up high.